Ronald Mandel Lott was born on the 8th May 1959, in Albuquerque, New Mexico USA, and is a former American Football player, who played in the National Football League(NFL) for such teams as the San Francisco 49ers, Kansas City Chiefs, Los Angeles Raiders, and New York Jets. During his career, he played in several positions, including cornerback, free safety and strong safety. His playing career was active from 1981 until 1995, and after he decided to retire, Ronnie became a sports broadcaster, working for the Fox and PAC-12 television networks. Have you ever wondered how rich Ronnie Lot is, as of mid-2016? According to authoritative sources, it has been estimated that Ronnie Lot`s net worth is currently $5 million, an amount he has acquired through his successful career as a professional American Football player, however, his work as a broadcaster has also increased his net worth. Ronnie grew up in Rialto, California, where he attended Frisbie Junior High, and then Eisenhower High School; while in high school, Ronnie fell in love with football, and began to play the game, becoming one of the best players of his class, and was even the captain of the high school team. Upon matriculation, he committed to the University of Southern California, where he continued with his football career through to graduation in 1981. During his college career he won the National Championship with the team, and was a Consensus All-American in 1980. 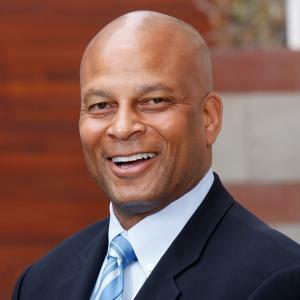 After graduating in public administration, he entered the 1981 NFL Draft, and was selected as the 8th overall pick by the San Francisco 49ers. He stayed with the team until 1990, during which time his net worth increased to a large degree thanks to the lucrative contracts he signed. He greatly helped his team to win four Super-Bowls with his iron defense; his interceptions and successful tackles, were a large part of the 49ers defense. After his contract with the 49ers expired, he joined the Los Angeles Raiders, which also added to his net worth, and before he decided to retire, he also played for the New York Jets and Kansas City Chiefs for one season. He returned to the San Francisco 49ers, however, but retired before the season began, as he couldn`t recover completely from accumulated injuries he had suffered throughout his career. Thanks to his skills, Ronnie Lot won numerous prestigious awards and recognitions; he appeared in 10 Pro-Bowl games, consecutively from 1981 to 1984 and 1986 to 1991, and was twice NFL interceptions leader in 1986 and 1991. Furthermore, he was inducted into the Pro Football Hall of Fame in 2000. Following his retirement, Ronnie pursued a career in sports broadcasting, and soon found engagement at Fox, working as an analyst for Fox NFL Sunday throughout the 1997 and 1998 seasons, which also increased his net worth. Furthermore, he is working as an analyst for the show PAC-12 Playbook, which airs on the PAC-12 television network. Ronnie`s net worth also increased thanks to his business ventures; he has opened car dealerships selling Toyota and Mercedes-Benz, and he also owns a World Sports Cafe in Fresno, California. Regarding his personal life, Ronnie and his family – wife Karen(m. 1991) and five children – currently reside in Cupertino, California. 1 His autobiography was ghost-written by Jill Lieber. 2 2000: Inducted into the Pro Football Hall of Fame. 3 Professional football player. Cornerback/safety with the San Francisco 49ers (1981-1990), Los Angeles Raiders (1991-1992), and New York Jets (1993-1994).